As a child growing into an adolescent, I would spend an unhealthy amount of my time looking through the phonebook for the surnames of girls I fancied at school. 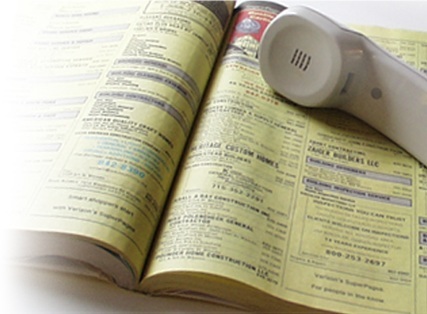 I knew the phonebook contained most people and I reasoned that looking someone up was tantamount to getting their phone number, which (for some reason I never understood) was an important thing to have. I would sit and run my finger up and down the same 10-20 numbers, trying to guess their parents initials. I only ever called a girl once while I was at school, under duress from her friends that I should do so. We spoke for 10 stilted minutes about the computer game I had interrupted her from playing. After hanging up, I was so inexplicably elated that I leapt from my bunk bed onto the inflatable chair below, bursting the armrests. It still seemed worth it. The next day at school there was a buzz, but nobody asked me how I’d got her number. I suppose they’d assumed I’d asked, but I’d looked it up. Hers was an easy number to find due to the regionally unique nature of her surname. The rush of finding the right girl out of 15 entries based on guessing their address from their average arrival time at school and calculating the approximate walking distance and using this as a cross-reference when finding the phone number was a difficult one to achieve. It was a quicker hit to find the one and only surname in the whole book which unmistakably applied to your quarry.